Mr. Thompson Mr. Thompson started his Martial Arts training in March, 1974 at the age of 18. Since his beginning, he has studied many different fighting arts and has become a world recognized martial arts expert. 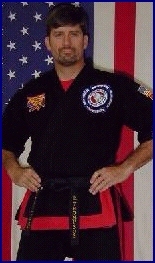 He is also known world-wide for running one of the finest martial arts centers in the United States. 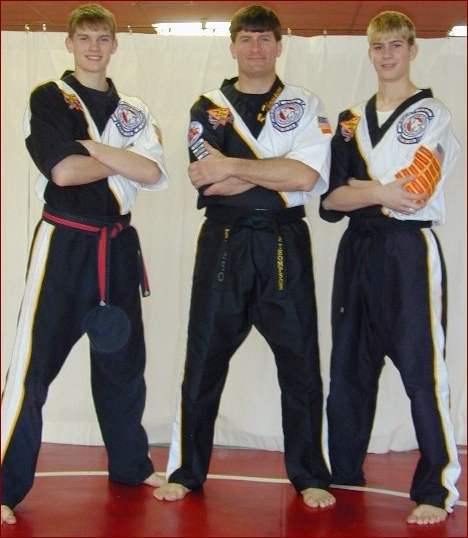 Mr. Thompson has trained more than ten National, North American and World Kickboxing Champions. 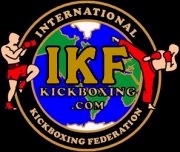 He is also manager to some of the top professional kickboxers in the country. His guidance is helping to lead athletes toward successful careers in the field of full contact kickboxing. He is most proud of his five children and his high standard of values that bring out the best in his students and increase the quality of life through developing a positive self-image. 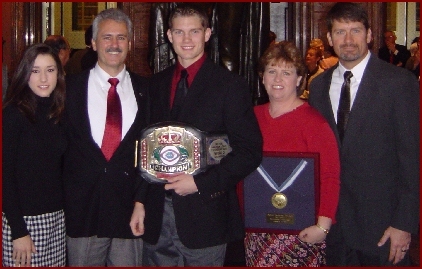 Mr. Thompson's competition career has spanned many years and many championships including winning the first and only "Toughest Man in South Carolina" contest in 1980 which was the first and only sanctioned "NHB" type event in South Carolina. 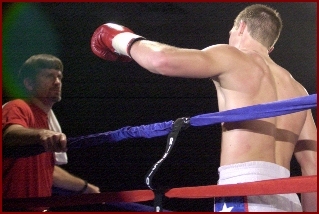 He has fought in full contact (kickboxing) matches, and was a member of the U.S. Kickboxing Team which competed in France in 1988. While in France he was known as the "Master of Disaster" by the French public. Mr. Thompson was also the Trainer and Manager of Gary "The Reap" Landreth and Rebecca "The Pitbull" Preacher who held North American Kickboxing titles before their retirement. 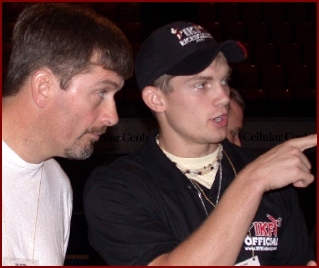 Ray is currently the trainer and manager of his son Stephen "Wonderboy" Thompson (With Ray Below) who held 16 Amateur Titles before turning Professional in May of 2004. Blue Belt in Brazilian Jiu-jitsu under Rickson Gracie. 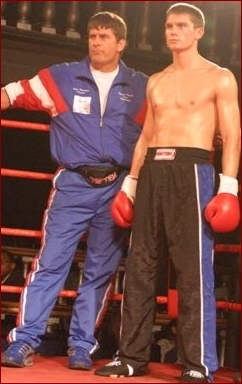 and Vic Theriault (R) as Thompson prepares to fight Eric Boudreau on December 14th, 2004 in Montreal Canada. 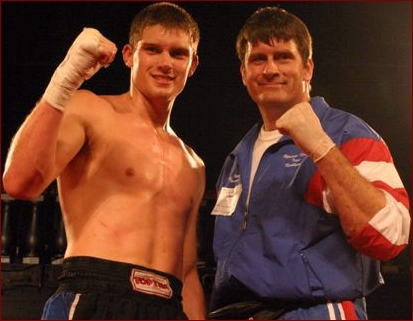 Stephen Thompson & Father Ray after Thompson stopped Boudreau in round 5 by TKO. The win gave Thompson a Pro Record of 3 wins and no loses with all 3 wins coming by KO/TKO. Stephen, his mother Gloria and his father, Ray Thompson. Thompson and his father Ray have volunteered to help make the Tournament a success every year.